The right facial and body waxing supplies will help you to get the best results and make the job a lot easier. We tell you what you need, what the product does and how you can save money. You’re on your way to long-lasting hair-free results. 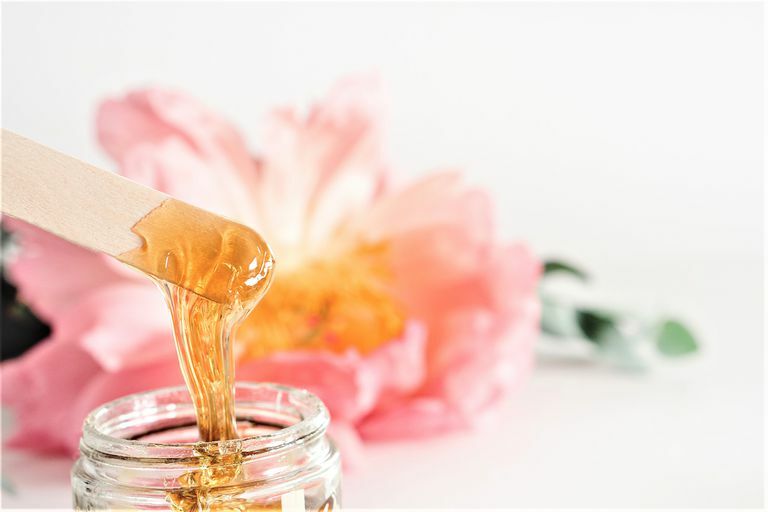 Honey wax is the all-around most commonly found, that can be used anywhere. Cream wax is also nice because it tends to be gentler on the skin. Hard wax (which doesn’t require a strip) is great for coarse hair like in the bikini line. Pre-made wax strips are more expensive and usually don’t work as well at removing the hair as applying the wax yourself because the wax is cold. Roll-on wax seems like it would make things easier for application, but tend to get clogged a lot, even for professionals. Our choice is using the pots because you have much more control over your application by removing exactly how much product you want. The consistency of your wax has a lot to do with your results. Too hot, you could burn yourself, and too cool, the wax won’t grab on well to the hair. While a microwaveable wax is fine if you’re just doing a lip or brow, it doesn’t always give great results for the long chore of hair removal on the body, because the wax can cool down way too soon. Wax pots (or warmers) keep the wax at a nice heated temperature. Some are made with just an on and off switch, but the better options are the ones with adjustable heat control. Cleansing the skin is a very important prepping step. Not only does this help curb some of the potential side effects of getting pimples, the product adheres better to a clean surface and will give you better hair-ridding results. Powder lightly applied before swiping on soft wax helps to absorb excess oil on the skin, so wax adheres to the hair and not the skin. This helps more hair get uplifted, along with unnecessary tugging at the skin and pain. With hard wax, a special oil is applied right before the wax to protect and condition the skin. You’ll need something to apply with, and wood applicators are best used for this job. Different size widths and lengths make large and small areas easier to tackle. You can even get very small applicators that are great for precise eyebrow shaping. While most have rounded edges, you can also get applicators with square-edges (GiGi calls them Accu Edge). This makes getting straighter lines much easier in the bikini area. A tendency for stickiness is common, so a cleanser helps remove this residue and moisturize the skin. There’s nothing more annoying than your shirt or pants sticking to you. If you don't like the stickiness, try sugaring hair removal which is water soluble. This means post hair removal any left on the skin can be cleaned up with regular soap and water. Mild redness and a slight stinging sensation are two side effects of waxing that will be calmed by using a cooling gel. If you need all supplies, then a complete kit is probably your best option. You save money by purchasing it all at once and you don't need to worry about not having something you need to wax away with. Popsicle sticks, baby oil and other items found in your cupboard at home can be used as body waxing supplies, and save you money.